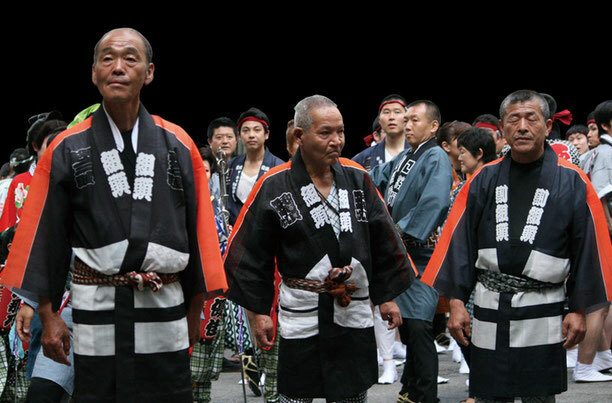 We often see a group of men wearing the same Han-ten worn with regional symbols and logos, singing and walking at the beginning of the "Matsuri".They are singing dance songs and calling out words of encouragement. These songs are called "Kiyari" or "Kiyari Songs" and these male singers are called "Kiyari" singers. 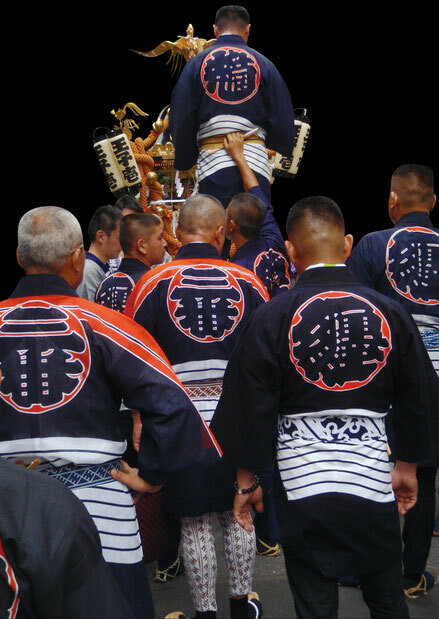 Nowadays, "Kiyari" is sung during congratulatory ceremonies and festivals. Originally "Kiyari" songs were born as labor songs sung to encourage heavy physical work. 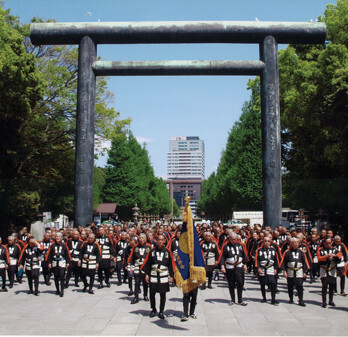 As the word "Kiyari" literally means "move the wood", "Kiyari" was created to encourage labor. These songs were born when no machines were used to move and carry the construction wood. A leader calls out in encouragement and others answer by working altogether to accomplish the job singing the "Kiyari" songs together. This voice chairman's role is accomplished by the "Kiyari".